Some clients worry about being “bamboozled by legal jargon” if they complain to their lawyers, a fear that can be borne out by responses that are “seeming calculated to ‘overwhelm’ or ‘intimidate’ the customer”, according to new research. Instead, lawyers dealing with complaints should apologise where appropriate and be reassuring they are taking the matter seriously. 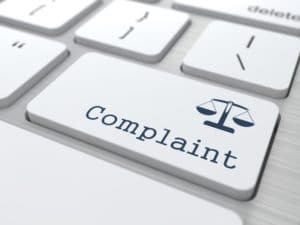 The Legal Ombudsman (LeO) also urged them to avoid jargon, be clear about the timetable, and empathise with complainants. Based on qualitative research by London-based IFF Research, which spoke to LeO staff, customers – both individually and in groups – and members of the public, the report found some complainants did not take the decision to complain lightly and were nervous about “being bamboozled by legal jargon”. Some were also concerned “about the complaints process potentially being just as negative as the original experience with the provider”. Lawyers sometimes confirmed these fears by writing long and complex responses that were “seeming calculated to ‘overwhelm’ or ‘intimidate’ the customer” or focused on “justifying the provider’s actions to date”. Best practice for dealing with complaints involved avoiding “unnecessary jargon or detail and should breakdown the various elements of the complaints with subheadings”. While the LeO itself was thought by interviewees to be relatively clear, the researchers suggested that terms such as ‘remedy’, ‘premature’ and ‘out of time’ were felt to be “meaningless jargon or to have off-putting and unhelpful connotations”. Similarly, phrases such as “such as ‘preliminary’ or ‘provisional’ decision and ‘informal resolution’” were confusing and should be replaced with more direct language. Meanwhile, some customers and non-customers showed “a clear lack of comprehension… regarding what [LeO] is, as a professional role”. Simon Tunnicliffe, LeO’s director of operations, said: “This new research emphasises that how professionals communicate and the language they use can have a huge impact on how a complaint is resolved and when. Sian Lewis, LeO’s data and insights officer, said some consumers perceived some language to be “intimidating, particularly legal terminology and complex language, and left them feeling ‘put in their place’”. LeO has produced a ‘top tips’ document giving advice on responding to complaints. I have spent over 18 Years complaining about Lawyers and never received a satisfactory outcome, The Ombudsman, SRA, Law Society, ICO, MPs all have failed me, I went to prison, Have been kidnapped by police, Evicted from my rented apartment, Have my freehold property stolen all these take place without any court documents, i have now consulted well over 50 Solicitors and none will take my case, The court has informed that they has no jurisdiction ? I am 76 years of age and homeless and no remedy is in sight.